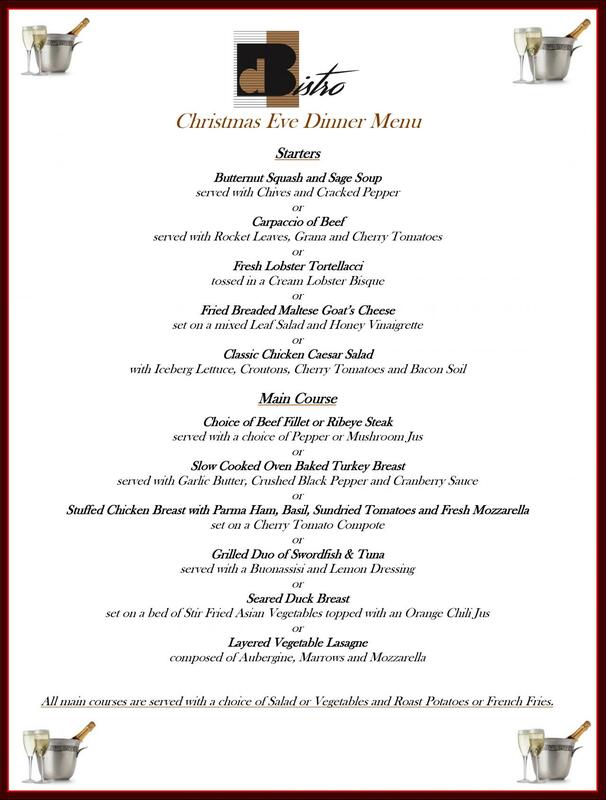 Celebrate Christmas Eve with a set menu for only €30 per person. 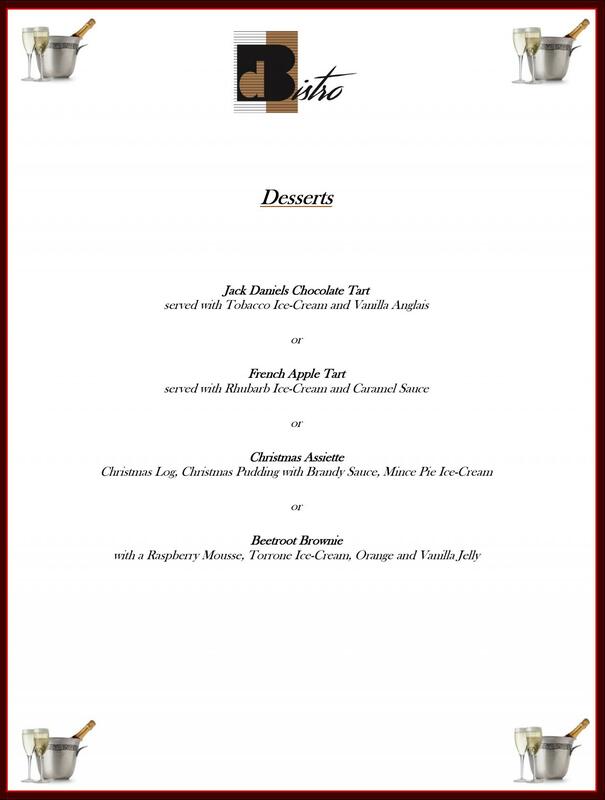 The menu includes a choice of starter, main course and dessert. Children between 6 - 12 years are charged at half price.